A lightweight, speedy load that features steel shot for obvious hunting reasons, and yet, can easily be competitive on the range against clays. This is a well-built shotshell that features the gorgeous Winchester crimping and a signature high end composite plastic hull that is suitable for use in all mechanisms, including semi-automatic shotguns without significant adjustment. This lead-free load is suitable for use on small game and game birds, and even waterfowl for close-in shots where #7 shot is suitable. It is primarily made for use on ranges where the preference is to shoot lead free. The Winchester company has a longstanding reputation for delivering on promises and being an innovator. 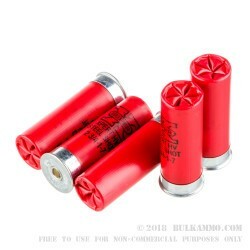 The shotshells they offer are no exception, they have long been a premium producer of shotgun ammunition and have been extremely influential on modern shotshell design. 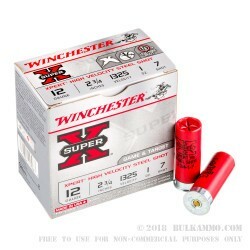 Winchester has been in existence for more than 150 years, and for the vast majority of that, they have been producing some of the finest shotshells and shotguns in the world. 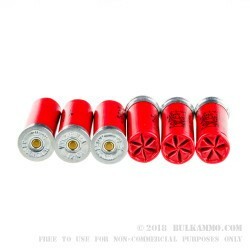 If you need a lightweight (#7 shot, 1 ounce; 2 ¾” length), speedy round (1325 feet per second) made with non-lead shot, this is a bargain priced offering that costs just barely more than the comparable lead loads.